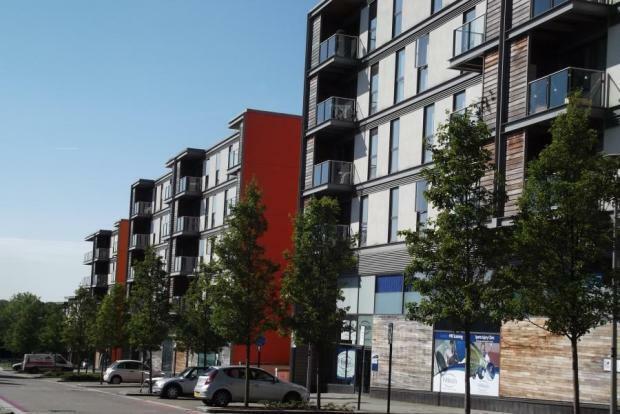 2 Bedroom Apartment To Rent in Milton Keynes for £1,500 per Calendar Month. This is a fantastic opportunity to rent this two bedroom apartment in the popular development of Vizion in Milton Keynes. It is within walking distance to the train station and The Hub. The property will be offered as furnished. Access to the apartment by concierge or front door with lift access and intercom system, the apartment briefly comprises; entrance hall, lounge/kitchen with a balcony, two double bedroom with free standing wardrobes, family bathroom with WC, sink, and bath with shower over. There is allocated parking underground and there is access to the beautiful communal roof gardens.